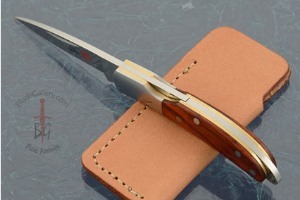 Cutting edge length: 1.40 in. 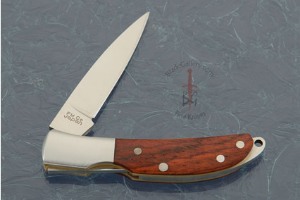 Description: The diminutive Osprey, an Al Mar Classic since 1979, offers timeless design and peerless craftsmanship usually found only on the finest custom handmade knives -- all in the smallest, highest quality front-lock made today. 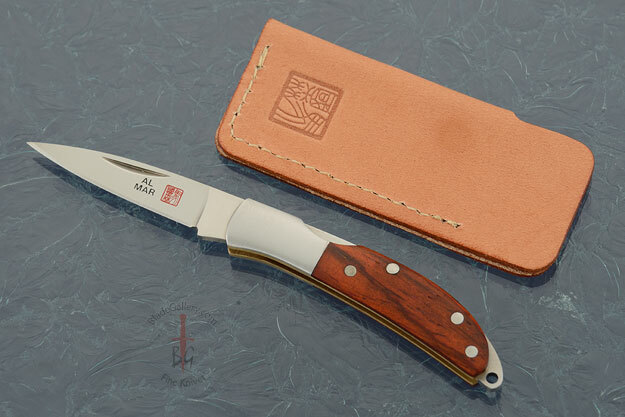 The Osprey features stainless steel bolsters, brass liners, and comes with a finely crafted leather pouch embossed with the Al Mar logo. 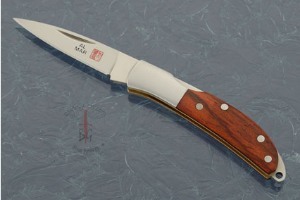 Cocobolo scales bring warm tones to the knife. 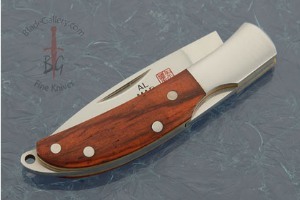 The Al Mar Osprey is a perfect choice to use as a keychain knife. It is large enough to get the job done, but small enough to be a tremendously easy knife to carry every day.